By 1976, the National Front had become the fourth largest party in Britain. In a context of national decline, racism, and fears that the country was collapsing into social unrest, the Front won 19 percent of the vote in elections in Leicester and 100,000 votes in London. Through the Anti-Nazi League hundreds of thousands of people painted out racist graffiti, distributed leaflets, persuaded those around them to vote against the right. This combined movement was one of the biggest mass campaigns that Britain has ever seen. “I was gripped and loved the way it took me through different elements of popular culture, personal reflection, policy. It is the best account of the relationship between punk and the Anti-Nazi League / Rock Against Racism.” Lucy Robinson, Professor in Collaborative History, University of Sussex. “A must-read for anyone who wants to understand the post-war history of racist and fascist movements and the strategies of resistance to them.” Hsiao-Hung Pai, author of Angry White People. “Dave Renton’s book helps us understand a pivotal moment in the defeat of fascism; it addresses the militant tradition of anti-fascism with real consideration.” Louise Purbrick, contributor to Physical Resistance: A Hundred Years of Anti-Fascism. Never Again will be published in February 2019. It is available for order here. From the perspective of the EDL, the BNP or UKIP, the killing of Drummer Lee Rigby on Wednesday 22 May 2013 could not have been better scripted. The victim was a white soldier with a two year old son and a plainly loving family. A person who is not moved by their suffering has something seriously wrong with them. Lee Rigby’s killers were Muslim, political Islamists, and of African descent. They tick every demographic or political “box” about which the right has been raging for years. The public location of the killing and its amateur method compound the sense of horror that has in turn energised the fascists, the tabloid press and the state. We all are familiar with the ways in which our opponents have engaged with the killing, beginning with the EDL Assembly at Woolwich on the evening of the 22nd itself, and the rapid construction of a Facebook page “RIP Woolwich Soldier”, which rapidly received 1.4 million likes, and which appears to have been set up using an EDL template. The main EDL page meanwhile leaped from around 30,000 to over 120,000 likes, before (thankfully) it was taken down by the hackers’ collective Anonymous. EDL supporters attempted to follow up their original assembly in Woolwich on the night of the killing, with various regional protests, including by turning out over 1000 people in Newcastle on Saturday 25 May, with the Independent reporting that EDL supporters outnumbered anti-fascists there by 4 to 1, and the Sun not even giving any indication, in its coverage, of the numbers gathered by the left. It is possible that these estimates were all wrong. The newspapers usually quote the police, who in turn under-count our side and exaggerate the EDL’s numbers. But even if the balance was subtly less bad than the impression these numbers give, millions of people will have read these reports, and will have drawn the conclusion that the EDL was on the rise. Socialist Worker responded relatively quickly to the killings, posting a statement on 23 May saying in effect that without the War on Terror, Lee Rigby would still be living: “The US and Britain have murdered hundreds of thousands of people in the “war on terror” over the past 12 years … This is a war which we learned last week that the US administration believes will go on for at least another ten to 20 years. That means decades more of invasions and drones and bombs and torture camps and assassinations. Is it a surprise that some people react in this shocking way?” This statement was followed by a message to all members from the National Secretary of the SWP Charlie Kimber instructing us to oppose the next two, main, EDL and BNP marches. On Monday May 27, the EDL was outside Downing Street, and on Saturday June 1, the BNP had plans to march in Woolwich. Before assessing the effectiveness or otherwise of these last two protests, and of our collective response to them, it is worth pausing and asking why the EDL in particular has shown such signs of evident life, after a long period in which it was clearly in decline? There was a tendency within the SWP especially between about December last year and this March for comrades to speak about Unite Against Fascism as if it had been a model campaign, which had played a unique part in decisively halting what would otherwise have been the inevitable rise of the EDL. A more honest appraisal would begin by admitting that no matter how many anti-fascist events we have held, they were not the sole cause of the EDL’s recent problems. The EDL’s difficulties were also partly self-inflicted. Its demonstrations, which were taking place weekly in 2009 and 2010 had begun to fizzle out before the end of 2010, essentially because there was no discernible progress from one march to the next, and no obvious plan beyond the demonstrations. (You might say that the right was suffering its own counterpart of a problem the left had faced after 2003, i.e. demonstration fatigue). The EDL had to endure deep divisions over its own counterparts to the BNP’s better-known modernisation strategy (i.e. the existence of EDL Sikh, LGBT and Jewish contingents) and the EDL was already in visible decline by late 2010, i.e. before Unite Against Fascism proved capable of repeatedly outnumbering it. The EDL’s situation had not significantly changed between August 2011 and May 2013, prior to Woolwich, if anything the EDL was weaker than it had ever been. But, even in its diminished state, the EDL still carried two things which gave it a distinct edge over its main rival the BNP. First, it retained some degree of brand loyalty among a series of activists who had repeatedly demonstrated over the past five years. By May 2013, most had been inactive for around two to two and a half years, but they were significantly more “battle-hardened” that the BNP, which had not called any national, street mobilisation for more than twenty years. Second, it had an ideology which appeared dramatically more relevant. The BNP has long been vulnerable to accusations of Nazism. Its leader Nick Griffin will still occasionally call himself a National Socialist (albeit only in front of the right audience). The EDL carries the process of ideological modernisation much further. It parades its tiny number of black members. It has an internal language modelled on the Battle comics of the 1970s; and exults in the victories of English soldiers in 1939-1945 over their German counterparts. It is patriotic, and militantly anti-Islam. It was born out of the War on Terror, and is better shaped to deal with the present crisis. For those of us who were in the thick of Monday’s anti-EDL protest, it is hard to be precise about how badly we were outnumbered, certainly 3:1, and perhaps more. There were more reasons for concern than just numbers. There were very few black faces on the protest, the crowd dwindled rapidly, and there was little leadership at the front. It felt as if we were going back to a previous period, where we should expect to be regularly outnumbered by them, even in central London. At the end of the EDL protest, a group of their supporters made a rush at the UAF contingent, throwing glasses and placard sticks, and we were barely able to hold them back. Had they broken through, many people could have been injured. To which one obvious answer would be that if a campaign has been in existence for 10 years, and still lacks local roots; what on earth has it been doing? Or perhaps a kinder response would be to say that while everything I have just quoted would be unobjectionable in a different context, it was hardly an inspiring call to action to make just five days before the BNP were planning to march within a few streets of where Lee Rigby had been killed. Between Monday and Saturday, it was extraordinary to watch how a younger generation of party comrades (the very ones, it seemed, who had been on the losing side of the recent faction battle) took it upon themselves to organise. They produced their own leaflets; they distributed them by their thousands. But this flurry of activity “from below” did not seem to be adequately matched by other anti-fascists. The details of the assembly point for Saturday were not published until the morning of 28 May 2013 (so there was no leaflet to hand out for the 28th on the anti-EDL protest in Whitehall). The news of the assembly point was broken on social media, not on UAF’s website but several hours beforehand on a twitter account: “martin@uaf”. No political argument was given for why Saturday’s protest had been called. There were of course perfectly sensible arguments for focussing on the danger posed by the BNP. By announcing a demonstration to begin at Woolwich, where Lee Rigby had been killed, inevitably they made themselves the priority for anti-fascists. By threatening to march from Woolwich to Lewisham, the BNP was deliberately invoking (and threatening to overturn) the worst defeat that the far right has suffered anywhere on British streets since 1945. These arguments would have armed comrades to deal with the twists and turns of BNP tactics that followed. But rather than explain why were were marching, the membership was addressed with a set of instructions. We were expected to follow a “routine” method (we are the SWP, they are the BNP, we demonstrate against them, that’s just what we do) focussed on internal arguments rather than ideas for engaging with people beyond the ranks of the already persuaded. On the Friday, as the BNP’s plans changed, the party changed the focus of its intended demonstration from Woolwich to Downing Street. This decision was publicised for the first time, once again, on “@martinuaf”. Three hours passed before the main UAF website was updated. Going into Saturday’s protest, anti-fascists had one main advantage and several weakness. It was to our assistance that the enemy we were facing was the BNP rather than the EDL. To help us; the BNP had no recent experience of street organising. It lacked the branch structure to book transport, etc, in order to be able to turn people out. The BNP does not have a single functioning branch in London. They were likely to be a “relatively” easy target. On the other hand, there was considerable confusion as to whether the BNP would follow police instructions and assemble in Whitehall or keep to its original plans and assemble in Woolwich or Lewisham. If all the anti-fascists had kept to one location point, while the BNP or EDL supporters assembled elsewhere, we would have had a problem. But the police continued to press; in increasing numbers. By some extraordinary good fortune there was already at Parliament a demonstration against badger culls. The dominant politics seemed to be broadly what we used to consider “hunt sab”, and it was a real pleasure to hear activists shouting “Save the badgers; cull the Nazis”. 1. Anti-fascists needed to seriously outnumbers the BNP after Monday’s debacle. On this test, the day was a success. It seems unlikely that the BNP would dare attempt something similar again. For our part anti-fascists feel lifted. 2. This modest success needs to be kept in broader perspective. The EDL could hardly have been checked by events at Whitehall; they were not there, but at several dozen other places across Britain. Many of these activities were small; in some cases, the EDL turnouts again seem to have been met with larger anti-fascist mobilisations. But the energy remains with them, as compared to the BNP, or indeed with us. 3. The recent difficulties in the SWP continue to mark our intervention as anti-fascists. The vast amount of work put in by younger SWP members did not lead to a significant presence, for example, of non-SWP students. There was very little direction from the UAF full-timers or other long-standing comrades. The party intervention suffered the same vices as those identified by Caliban on the Monday. 4. Many people have been arrested; they all need our solidarity. It is unwelcome that a demonstration in which anti-fascists outnumbered fascists by around 10 to 1 should have ended that 58 of us arrested and none of them. 5. Going beyond this Saturday, we do not seem to have worked out how to readjust from confronting the BNP to the EDL, who have the numbers and the momentum. Nor, assuming the EDL are pushed back sometime in the future , do we have any serious plans (yet) for the second change of focus we will need, to develop a new kind of anti-racist politics capable of damaging UKIP, who are flourishing better than anyone else during the recent crisis and can realistically be expected to top the polls in next year’s European elections. To be able to get to these more important battles right would require a dramatic break from our present routine. UAF is not the first time that the SWP has played a role in anti-fascist or anti-racist struggles, nor, if we are honest, has been as effective as our first such campaign, that of the Anti-Nazi League in the late 1970s. One feature of the ANL was its success in bringing together different SWP “generations”, i.e. both the hard-headed political organisers, and the comrades with the greatest sense of cultural politics. Most SWP members took part in the campaign through the ANL: a specific, one-purpose campaign to defeat the National Front, expressed as physical confrontation, public marches and leafleting against NF election candidates. But a large part of the campaign’s dynamism came from the activity of a relatively small group of comrades in Rock Against Racism. They made sure that fascism was never misunderstood as just a very aggressive form of popular racism. They fought all the time to join up the popular racism of the NF to the institutional racism of the police, prisons and courts; its anti-black racism to its simultaneous, swaggering and homophobic masculinity. They fought, in effect, for a broader, more heterogeneous anti-racism. A reason why the ANL worked was because it was able to win the support in black communities that saw the National Front routed when they attempted to march through Lewisham, or which turned Blair Peach’s killing into a martyrdom. UAF “seems” to take this on board by having a leadership structure which combines at the very top, “black leadership” (it is a part of the campaign’s founding agreement, that all senior office-holders have to be black), and with the visible presence at UAF conferences of very many members of the TUC race relations committee (one reason that UAF conferences are so dull is the need to give everyone on the committee a separate speaking role). But paradoxically, despite this black leadership role UAF seems to have less to say about institutional racism than the ANL once did. 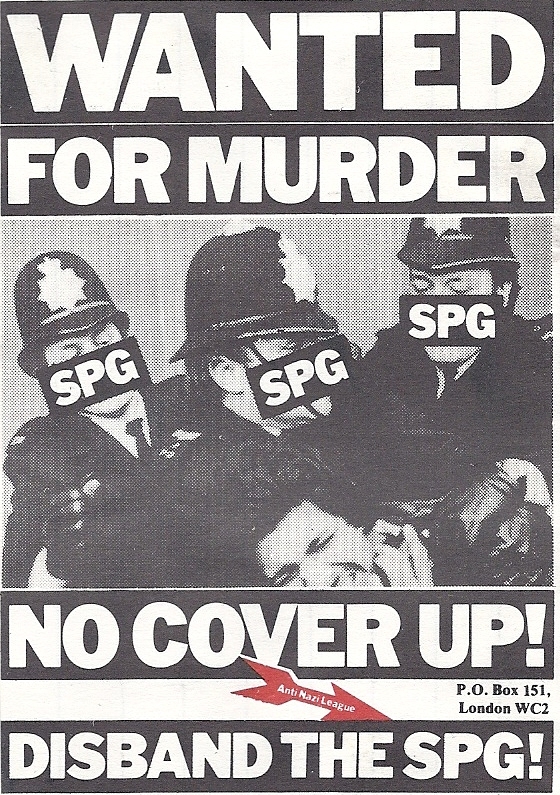 And the SWP campaigns far less about racism than it did 35 years ago. You won’t find UAF campaigns about victims of injustice, or economic racism. It is hard to imagine UAF giving the same amount of time as the SWP and the Anti-Nazi League once gave, for example to the Campaign Against Racist Laws. Another part of the Anti-Nazi league’s victory was its success in drilling roots deep into the trade union movement, between 1977 and 1979, 30 AUEW branches affiliated, as did 25 trades councils, 13 shop stewards’ committees, 11 NUM lodges, and similar numbers of branches from the TGWU, CPSA, TASS, NUJ, NUT and NUPE. I can recall working in the offices (temporarily) of the much smaller mid-1990s Anti-Nazi League. It had multiple ring-binders full of the details of affiliated trade union branches, which (even then) ran into the several hundreds. Contrast UAF, which has the support of 19 national trade unions; and some local trade union branches, but only one of the latter (Holborn GMB) was so well integrated into the campaign so as to nominate anyone for any position at this year’s conference. Indeed this is only one reflection of the general weakness of those events and of UAF itself. They, and it, feel like a space aimed at accommodating the union bureaucracy. The focus is rarely on the union rank and file. It is an area of obvious concern that the party leadership (which I do not mean at all only the people in full-time roles at the SWP or UAF head offices), but just as significantly the local leaderships in the branches, is still in purge mode. In the words of one SWP member (writing on 30 May): “The party is not a student debating society. We are not here to listen to endless arguments about our perspectives from a small minority of comrades who are unwilling to act democratically when It does not suit them. I think it is time for those who cannot submit to the democratic will of the party to go so that the rest of us can engage in meaningful political work … I think the leading group in the ‘opposition’ should be expelled at once. I do not see why any of this should be tolerated for a moment longer.” The people who are visibly in the firing line are precisely the comrades who speak out of turn, the ones who write, and the ones who are trying hardest to revive the party’s former iconoclasm. Rock Against Racism brought more to the table than just a broader anti-racist message, equipping comrades to step from one moment of anti-racist struggle to the next. It was RAR which dreamed up Temporary Hoarding magazine, the Carnivals, etc. “We want Rebel music, street music”, as RAR put it, “Music that knows who the real enemy is. Rock against Racism. Love Music Hate Racism.” Temporary Hoarding was never just about music, a typical issue would have articles about Steve Biko, the politics of racism, and institutional sexism or homophobia. It was a cultural intervention which took in design, art, etc. Its good slogans were never intended to last for all time. Of course, no mere effort of will could produce merely “on request” a musical counter-culture as susceptible to left-wing intervention as early British punk; nor a group of comrades as iconoclastic as the RAR generation. But if we are going to have a fresh cultural intervention which recreates the dynamism of 1976-1981, we shouldn’t assume that it will be found only in music, nor that simply replaying the most compelling images and sounds of the past will produce the same energy as they once delivered. Mere repetition is likely to result in diminishing effect. If there is going to be network of cultural producers who play the same role in future that once was played by RAR, they will more effective if they find their own labels, and their own images, rather than through being tied to a slogan (“LMHR”) coined more than 30 years ago. Another test of a viable campaign is who it has in the key roles. Paul Holborow, the organiser of the Anti-Nazi League, brought several strengths to the campaign. One, which is not always given sufficient weight in accounts of this period, was his very close attention to detail. If you speak to the people who worked in the ANL office, one thing they always report is how incredibly hard Paul worked. He was in the office first thing; he would be there till late. Every evening that he could, he spoke at a local ANL group meeting (and if he didn’t have a speaking role, he looked for an invitation). This sense of urgency came from a conjuncture which was even more desperate than our own. 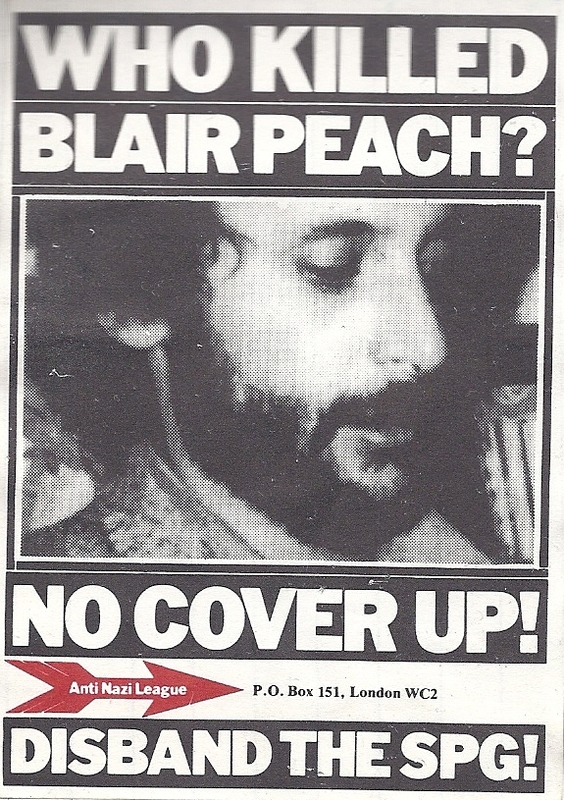 Politics were moving rapidly to the right; the very evening of Margaret Thatcher’s election victory in 1979 saw an SWP member Blair Peach killed at Southall following fighting between anti-fascists and the police. If we want to understand why after 10 years there seems to be very few people in any local groups who identify with the UAF beyond of course members of the SWP, the answer is not just down to “formal” politics, but also to the lack of planning, the administrative muddle, and the failure to maintain a membership structure or local groups which have characterised Unite Against Fascism from early on. Finally, a recurring challenge for ANL Mark 1 was how to stop the National Front without the violent clashes overtaking everything else the campaign had to do. Normally histories of the period read this story backwards, with everything hinging on the eventual expulsion of the people who in 1981 would go on to form Red Action. Their emergence (which, if we are honest, was primarily within the SWP, not ANL) is contrasted with the previous periods when the use of physical force had been a collective rather than a minority experience. But mere common sense suggests that the history was a little bit more complex; that the “squads” must have come from somewhere, if only from a collective need to protect sales or public meetings from fascist attack. The SWP of the late 1970s had better roots in the manual working-class than it does now or any other group on the British left (this is not to subject the old party to special praise; the whole left then had better roots in working-class communities than it does now). Even that organisation flipped and flopped to some extent between encouraging physical resistance and seeking to curtail it. Today, every comrade will have memories of recent anti-EDL “protests” which saw groups of several hundred comrades sheltering, 1970s-CP-style, behind metal barricades, while we were addressed by local, religious worthies, while others took the struggle directly to the English Defence League; as well as other activities that have been little better than squad actions, leaving those involved feeling like “cannon fodder”. Squaddism was never the answer, but nor is it to be found in ceding the ground of physical resistance altogether. After all, if we are ever going to force the fascists off the streets, this will involve – inevitably – a degree of physical persuasion. What is needed is greater consistency, a focus on the sorts of mass campaigning that involve the greatest numbers of people working together to resist the far right, and to drive them off the streets altogether, whenever the opportunity presents itself. The Anti-Nazi League campaign was the largest mass movement in Britain since the Campaign for Nuclear Disarmament in the 1960s. Between 1977 and 1979, around 9 million Anti-Nazi League leaflets were distributed and 750,000 badges sold. Around 250 ANL branches mobilized some 40,000–50,000 members. On the strength of individual donations, the League raised £600,000 between 1977 and 1980. The ANL conference in June 1978 attracted over 800 delegates. The steering committee raised £70,000 to cover fines and legal expenses for the Southall Defence Fund. 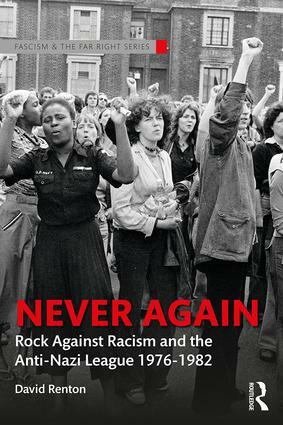 Meanwhile, the work of the League was complemented by the activity of Rock Against Racism. In 1978 alone, RAR organized 300 gigs and five carnivals. The following year’s Militant Entertainment Tour featured 40 bands at 23 concerts, and covered some 2,000 miles on the road. Probably around half a million people were involved in anti-racist activity, joining demonstrations, handing out leaflets or painting out graffiti. An extraordinary range of local initiatives took place under a single banner. In Sheffield, one member of the Anti-Nazi League infiltrated the local National Front branch, then left, publishing a pamphlet that revealed the openly Nazi pedigree of local fascists. Meanwhile, 50 Labour parties affiliated to the ANL, along with 30 AUEW branches, 25 trades councils, 13 shop stewards’ committees, 11 NUM lodges, and similar numbers of branches from the TGWU, CPSA, TASS, NUJ, NUT and NUPE. By the end of the campaign, even Len Murray, General Secretary of the Trades Union Congress, could be seen addressing anti-fascist rallies in London’s Brick Lane. Clearly anti-fascism succeeded in mobilizing very many people, but did it work? In the years since the Anti-Nazi League existed, different writers have generated very different accounts. Christopher Husbands believes the League spread the ‘NF = Nazis’ message ‘more widely and successfully than almost any other medium could have done’. Dilip Hiro also comments positively on the League: ‘the role played by the anti-racist whites, belonging either to the mainstream trade unions or to fringe leftist groups, was crucial’. More critically, another historian, Richard Thurlow, has argued that the Anti-Nazi League was only of secondary importance, and that it was Mrs Thatcher’s racism that played the decisive role in the failure of the National Front, bringing lost right-wing voters back to the Tory fold. Roger Griffin likewise argues that fascism has no place in modern society: ‘what marginalises fascism . . . is the irreducible pluralism of modern society, and not the strength of liberalism as such, let alone the concerted opposition of anti-fascists.’ There may be a grain truth in the argument that Margaret Thatcher undermined the National Front. The problem comes when people treat this one factor as decisive, placing all emphasis on it, and ignore as a consequence the impact of popular anti-fascism on the NF. Those who place all emphasis on the Tories’ right turn cannot address the evidence that the National Front had grown fastest in earlier periods just as the leaders of the Conservative Party pushed themselves furthest to the right. It was Enoch Powell’s infamous ‘Rivers of Blood’ speech that first dragged the NF into prominence, and it was Conservative and press attacks on the Kenyan and Ugandan Asians that helped the NF to build a mass following in 1968 and 1972. If Thatcherism did hurt the National Front, then it did so only because the far right was already in retreat. It was because NF voters and other supporters already saw their own organization in tatters that they defected to the Conservative in droves. It is possible to investigate the argument that without the Anti-Nazi League, fascism would have grown. One way to test this claim is by comparing late 1970s Britain to early 1980s France. In general terms, the conditions in both countries were similar and broadly advantageous to the far right. In both countries there was an indigenous racist tradition, going back at least to the British Brothers’ League in early twentieth-century England, and the Dreyfus Affair in 1890s France. By the period in question, both countries were governed by parties of the left, Callaghan’s Labour in Britain, Mitterrand’s Socialists in France. Each left government was judged to have failed its supporters, leading to a right-wing backlash. In both cases, parties of the right were willing to flirt with the small fascist groups, both the Conservatives and the Gaullists believing that this process would work in their favour. Margaret Thatcher’s lurch to the right did have the effect of persuading former members of the National Front to side with the Conservatives, either rejoining the her party or at least voting for it in 1979. The gap between this formulation and the equivalent pronouncements of Paul Holborow or Peter Hain was small, but telling. The ANL combined a political and a physical strategy; SOS Racisme had only the former. Thus it tended to dissipate rather than strengthen grass-roots anti-racist organization. What began as a radical movement against fascism became instead a lobbying organization to raise money for local communities. As ‘SOS-Racisme . . . evolved into a decentralised lobbying organisation sucked into a role of conflict management’, so it turned away from the important task of mobilizing young people against racism, on the streets. At the moment of its breakthrough, the Front National was relieved of the pressure of militant anti-fascism, a pressure that only revived in the mid-1990s. It is striking that the revival of militant anti-fascism in France, following the public sector strikes of 1995, was closely followed by splits in the Front National, from late 1998 onwards. That event would seem to support the argument that mass anti-fascism can work. The success of Rock Against Racism and the Anti-Nazi League led to the creation of a number of similar alliances, which were explicitly modelled on British anti-fascism and were unlike the later French campaign. In the United States, this movement took the form of a new Rock Against Racism, involving such bands as the Dead Kennedys. The US Rock Against Racism lasted from 1979 to 1987. In Germany, the 1970s witnessed various counterparts of both the ANL and RAR, including ‘Rock gegen Rechts’. Another former activist who speaks fondly of this time is Owen. Having arrived at Salford University in 1976, he describes himself as having been then ‘politically right-wing’. But the Anti-Nazi League ‘had an impact on me. I was from a white, working-class background, and had never thought about this stuff before.’ Owen attended the Manchester carnivals, and having heard Neil Kinnock address the Cardiff carnival (‘A young firebrand speaker . . . I wonder what happened to him?’), he moved towards the left. The police attacked him during a demonstration in Longsight. His involvement was ‘all pretty low-key stuff’, but speaking to him, there is a sense of someone who helped to challenge racism, and helped to advance the values of democracy and equality. Through the ANL, he judges, Owen contributed to making life better for other people. Several writers have argued that the cultural politics of Rock Against Racism was crucial to the League’s success. One clear effect of the Anti-Nazi League was that it established a tradition that anti-fascist work should be exciting, popular, bold and political. 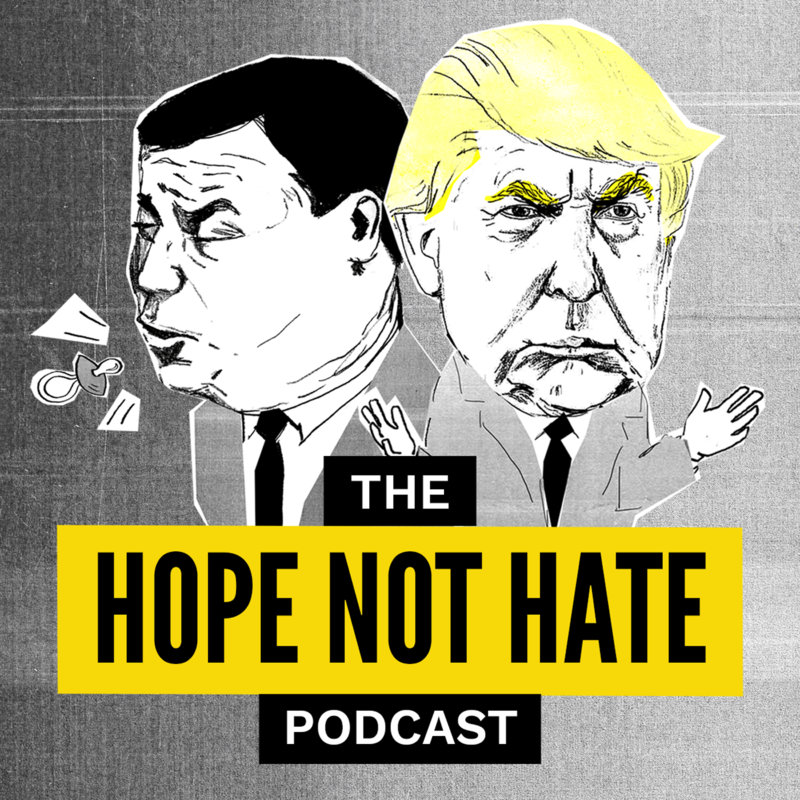 Pete Alexander, then an organizer for the League, argues that it was the combination of defensive confrontation with an alternative politics of hope that proved decisive. ‘The ANL succeeded because it combined mass propaganda against racism, especially the carnivals organized in conjunction with Rock Against Racism, with militant action on the streets.’ Dave Widgery’s Beating Time suggests that it was the cultural politics of Rock Against Racism that enabled the Anti-Nazi League to succeed. At different points, his account offers a changed formulation of the balance between music and politics, but at every stage he insists that the cultural was critical to the success of the operation. Part of the musical success of bands such as the Clash derived from their ability to import the historical crisis around them into their music, through the adoption of more complex musical motifs, including a partial fusion with reggae. There was an intimate relationship between the music of Rock Against Racism and the politics of the Anti-Nazi League. This is a more modest statement than Dave Widgery’s suggestion that some such musical synthesis was necessary to make the mass movement possible. The fact that punk and reggae combined to make Rock Against Racism possible does not mean that either was a necessary component, or that any other popular style was inherently incapable of fulfilling a similar role. Most RAR staples never made it into the top ten, and some of the most important, such as Carol Grimes, barely charted. The New Wave of the 1980s was frequently less strident than punk, but it produced a series of left-wing bands with best-selling singles, and a consistent audience in at least the hundreds of thousands. The most we can say is not that RAR or the Anti-Nazi League needed punk, but that they needed something – a culture that was new and dynamic, rather than the repetition of settled styles and established acts. Does any of this matter? Did the campaign add anything to the experience of the people who lived through it, and after? For most of the 20 years after 1981, fascism was irrelevant to British life. By and large, activists concerned themselves with other tasks – challenging Thatcher, Major and the neo-liberal tendencies of New Labour. In September 1993, the British National Party did win a council seat at Tower Hamlets, but it lost the seat less than 12 months later (admittedly on a higher vote, which rose from 1,480 to 2,041). Only in the last decade has the BNP been able to establish any sort of consistent success. Three fascist councillors were elected in Burnley in May 2002. The number of BNP councillors reached five that winter, 16 following elections in 2003, and 21 by May 2004. The successful anti-fascist campaign of the late 1970s has lessons evidently for anti-fascists alarmed by the electoral success of the British National Party. But it has lessons also for activists involved in other present-day campaigns. The need for new visual imagery, new organizational forms, is common. So are the demands for practical unity among people of different backgrounds, divided by race or politics. So also is the question of how to organize campaigns when the government is Labour, with all the political contradictions that implies. Ultimately, the best test of the anti-fascist movement is the one that it set itself. Rock Against Racism and the Anti-Nazi League both intended to turn back the growth of the National Front. In this, they were remarkably successful. As a by-product of their success, RAR also generated musical styles that had not existed before, while the ANL showed what a mass radical politics could look like. It is their anti-fascist success that should be remembered, above all. In the mid-1970s, British fascism was powerful and growing. The ANL gave the NF a defeat from which its successors have not yet recovered. The rest of us have been left freer to concentrate on the many tasks at hand if the world is ever going to be free of the values of fascism, as well as fascism itself.